Doodles and Dragons Bestiary: Monster Mash Sample Set is a free to download PDF set of 162 assorted monsters and characters from my original homebrew campaign. Consider these prototypes to Doodles and Dragons. 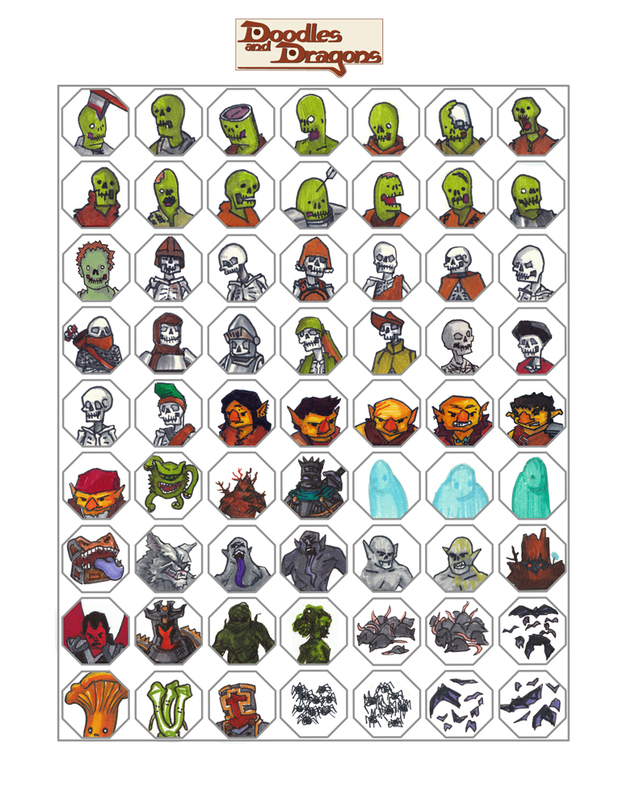 The tokens are sized and aligned. You just need to print ‘em and cut them out! I suggest glueing the prints to a piece of cardboard before cutting. Enjoy!